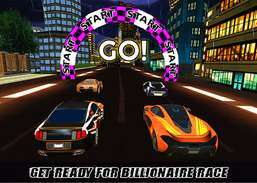 Win billionaire race and get the car of your rival. 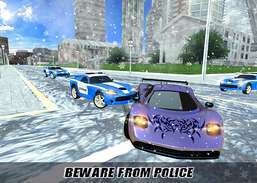 Get ready to play the Billionaire Car Racing game that contains the thrilling and challenging missions for the racing car games and police car games lovers. Choose your favorite car from the Billionaire home garage. Hold your grip on the luxury car staring and show your incredible racing skills. Dodge your rival and smash its billionaire car in eye catching environment. Beware from the police vans that are ready to catch you in this insane race. 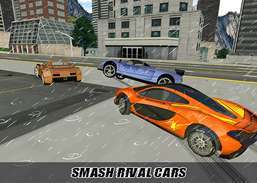 Find the finest route like tunnel, bridges and fly over to win the billion car race. Collect different rewards that scattered on the road. Increase the number of billionaire cars in your billionaire garage. 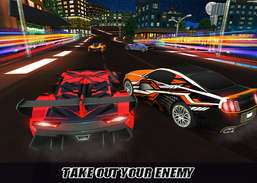 Avoid hurdles while driving chained cars to win the race. 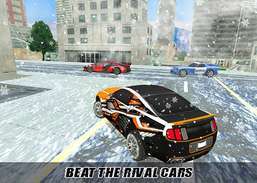 #1 Free Street Car Racing Games 3D bring you real racing game experience. Enjoy the real fun of car racing through this speedy race simulator and become the legend racer of car racing world. Destroy your opponent's vehicles in demolition derbies wars.